Persian Southwest is a fine area rug by American Dakota. 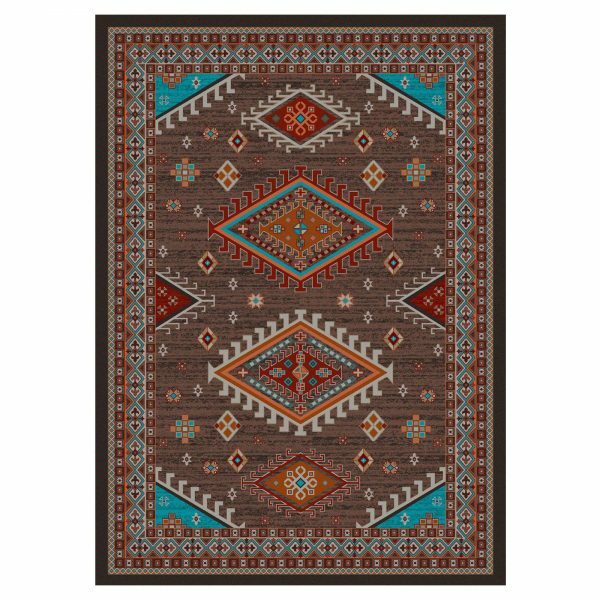 This design brings together the Southwestern US and traditional oriental prints and colors. It is a very versatile pattern that will fit in any interior. 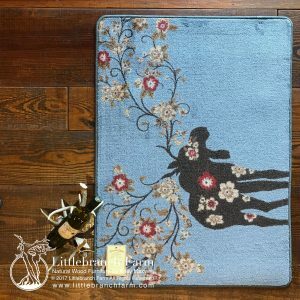 This beautiful area rug is a great option if you want to add a subtle pop of color to your home’s decor. 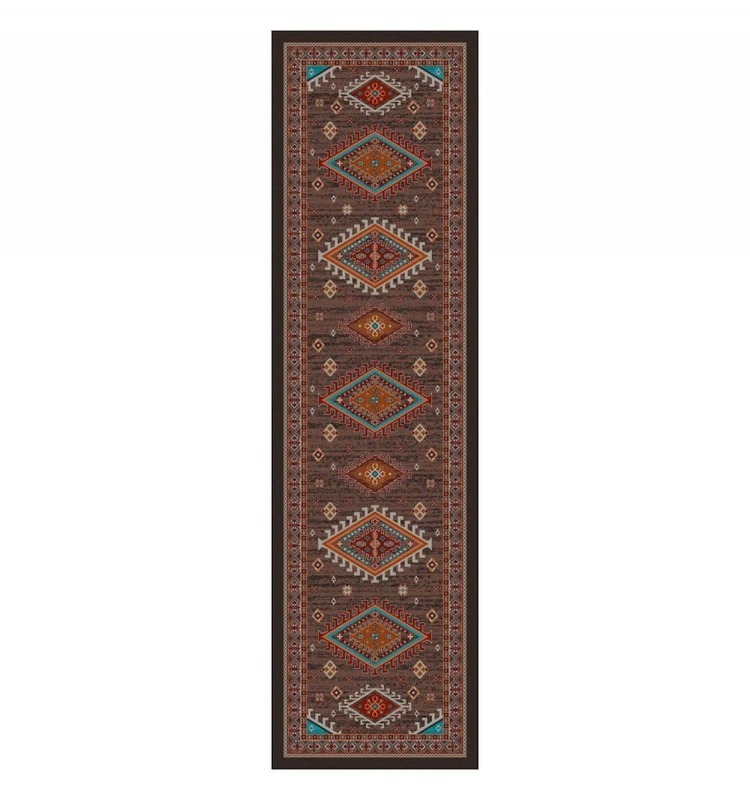 It features splashes of red and turquoise on a brown background. Just a few bright accents will draw the eyes and highlight the furniture in your space. 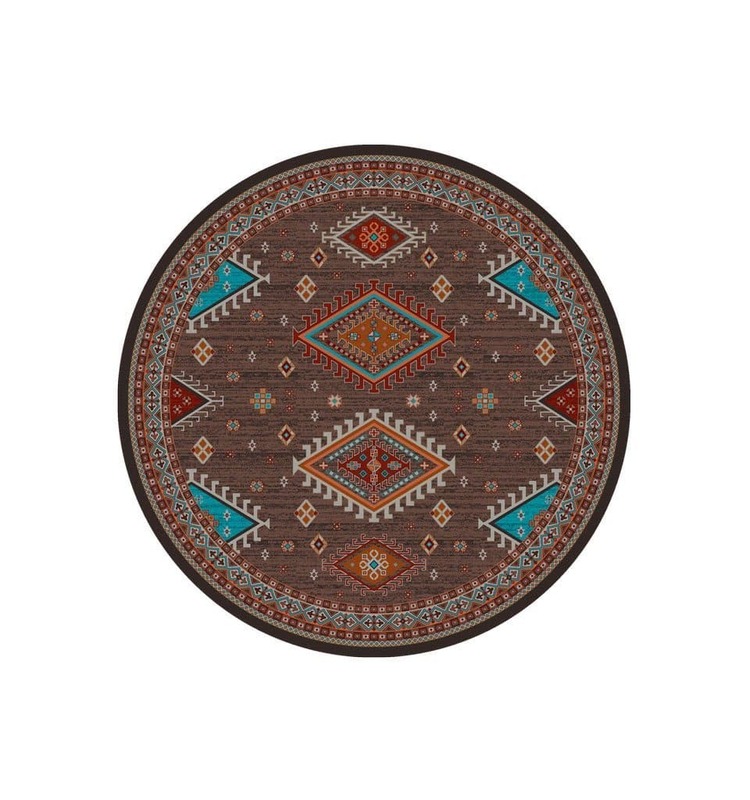 This makes it a great choice for a dining room. It is the perfect companion for an elegant wood table. 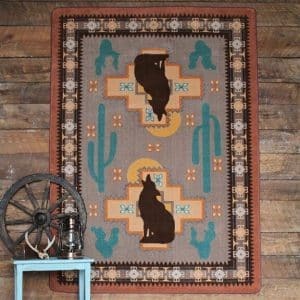 Also, our area rugs are made to order in the USA and shipped directly to the customer. Along with our fine handcrafted rustic furniture, we also work with an antler artist. 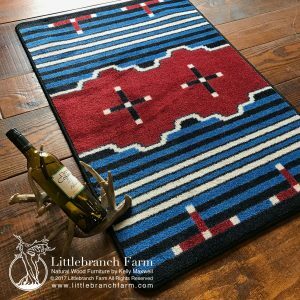 Whether your style is a rustic, farmhouse, or contemporary we have the home decor for you. Our natural wood furniture designed and crafted in Nashville, TN is unparalleled in quality. 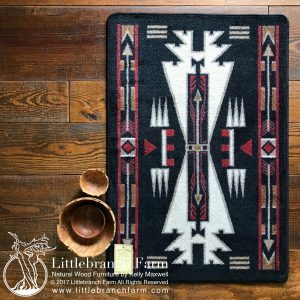 Whether crafted with live edge wood or natural wood planks.